Please read thoroughly as this step is critical to a successful restoration project. 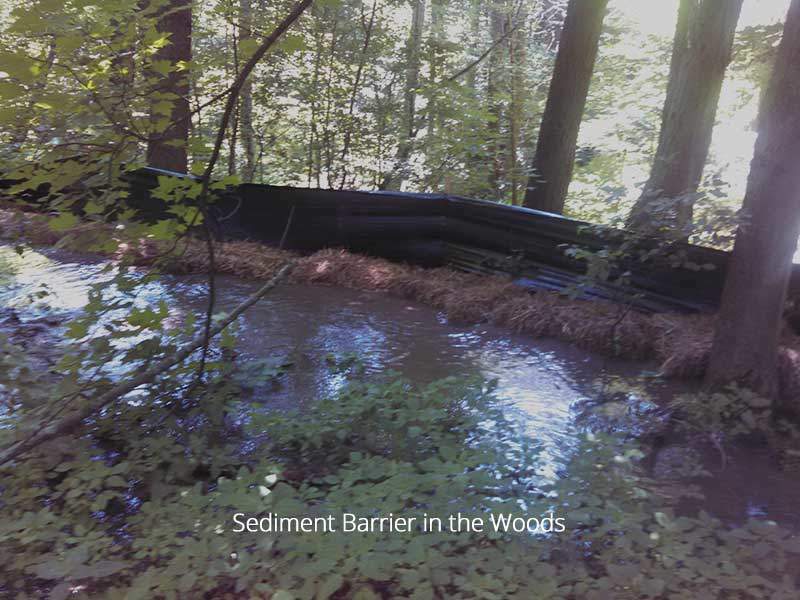 What is a sediment containment tube? 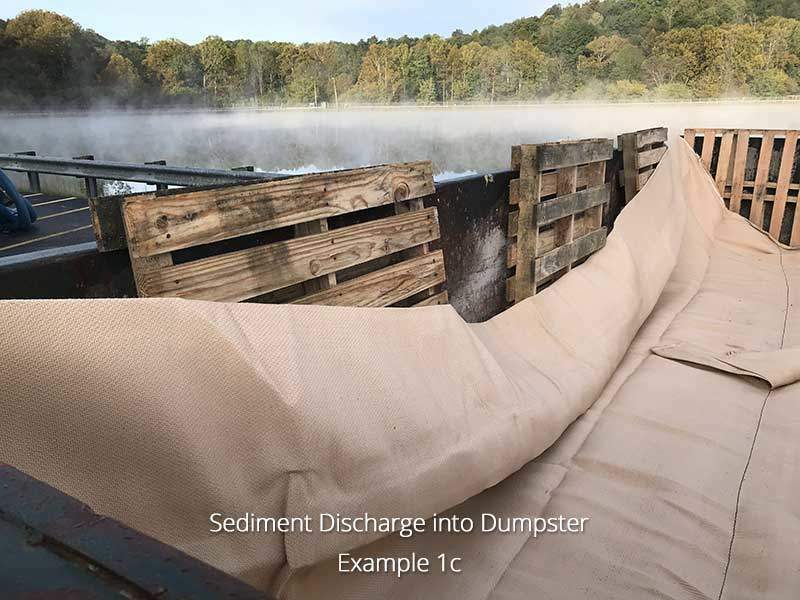 A sediment containment tube is a woven geo-textile cylindrical tube manufactured to separate and hold solid particulates from water. 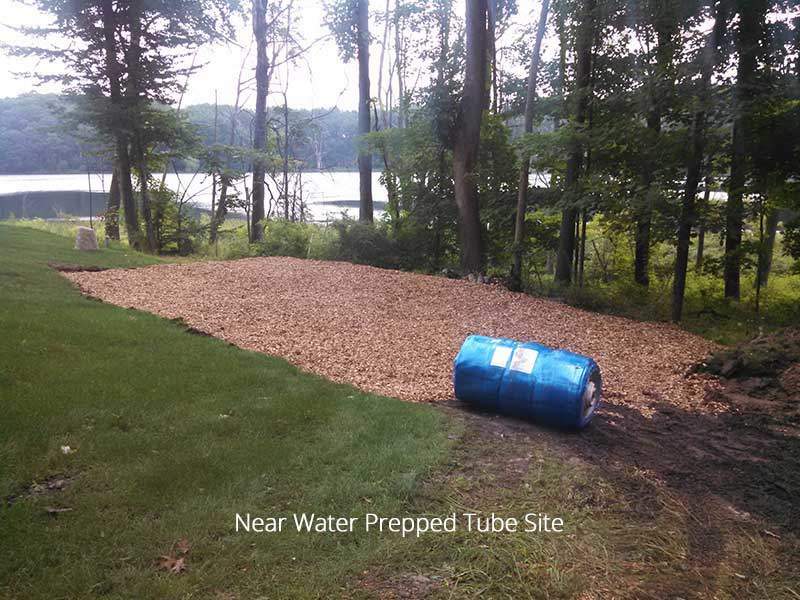 The tube will allow the biomass to slowly dewater to a point where the tube material can be removed and the solids and be spread or hauled away. Sediment containment tubes are manufactured in an array of sizes to accompany differing amount of sediment volumes. 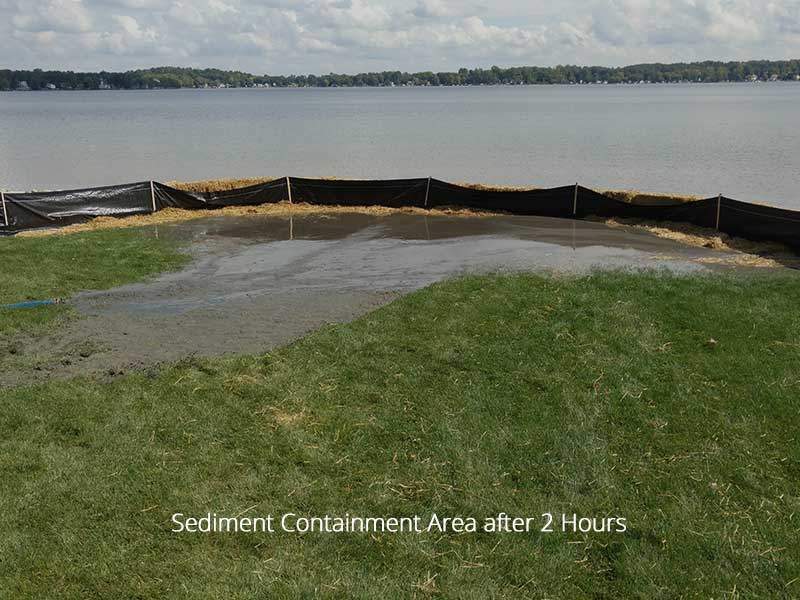 When is a sediment containment tube used? 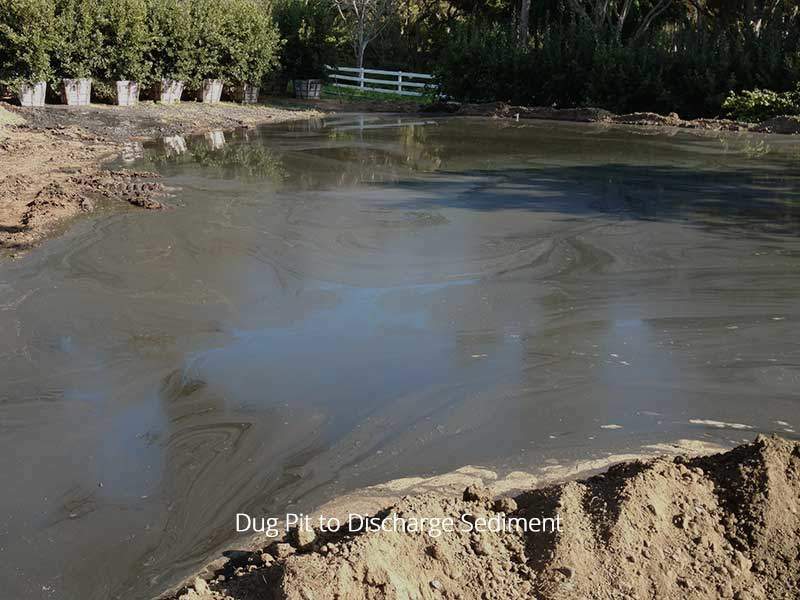 Often times there is no space or large tracks of property available where the water and sediment can be openly deposited upon. 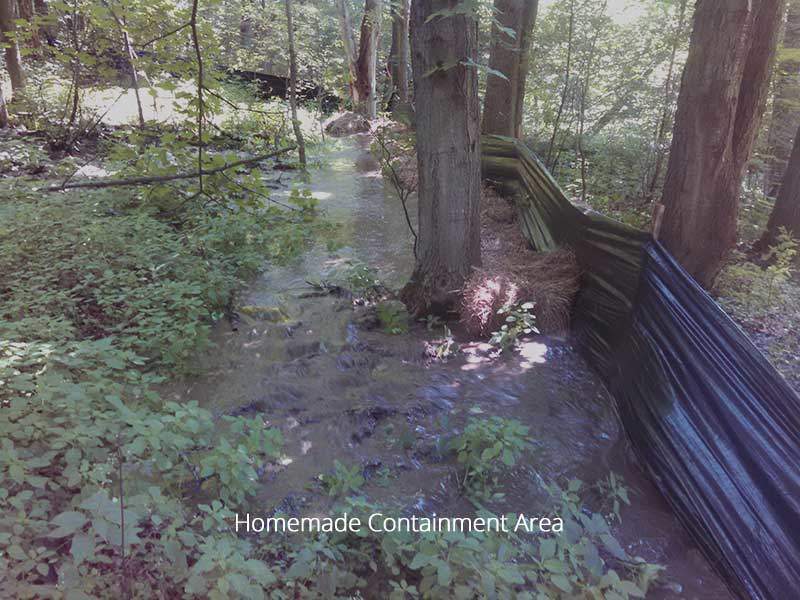 This is when the use of a sediment containment tube may be needed. 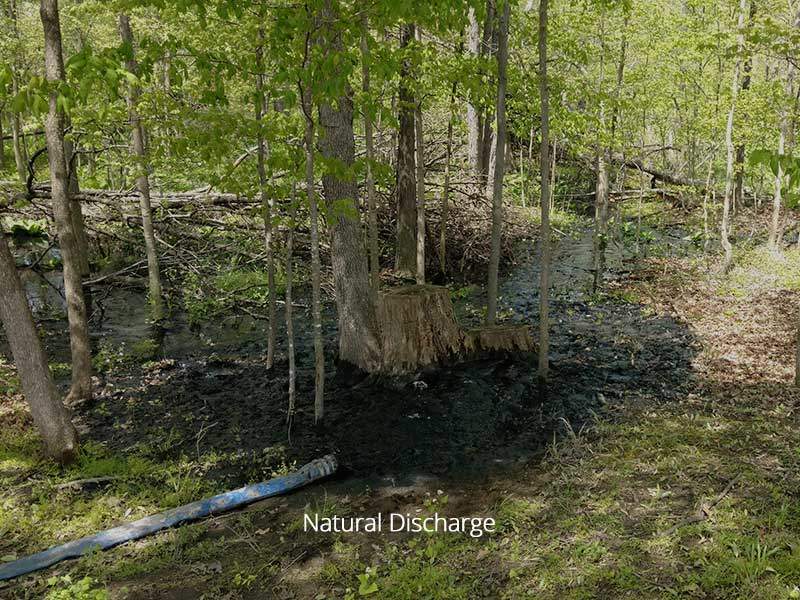 The tube offers a relatively small footprint for the water and sediment to be discharged into when open discharge is either not available or allowed. 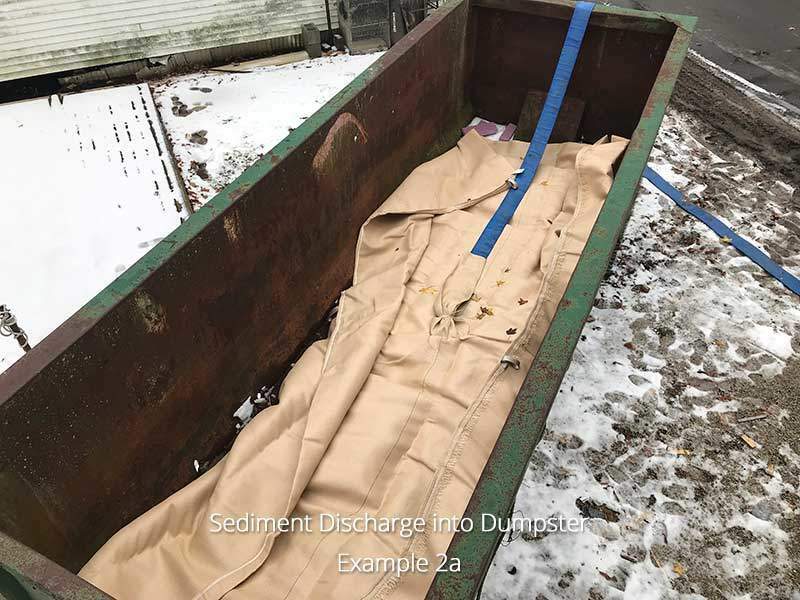 What is the proper preparation when a sediment containment tube is used? 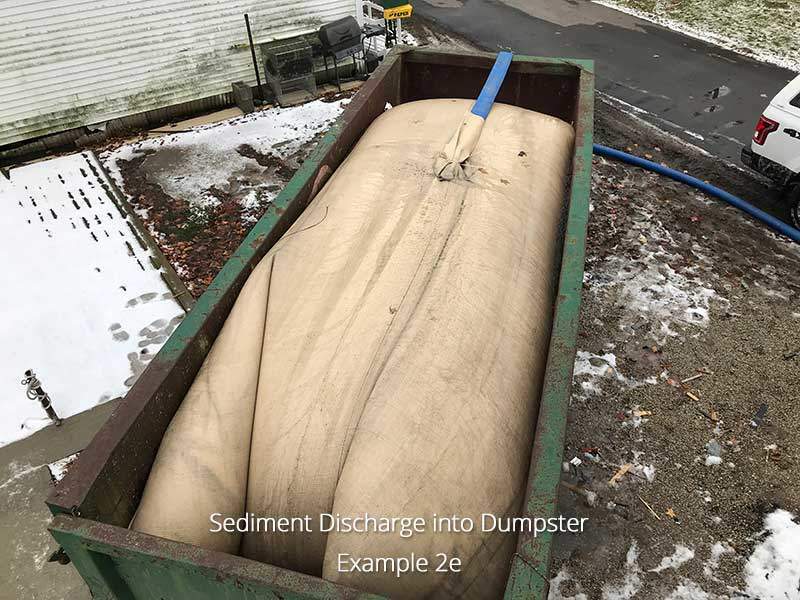 Sediment containment tubes react the same way as a water balloon does once it is filled with water and is placed on an unlevel counter, it will roll off and hit the floor. These tubes have the same propensity and they will roll away if they are not placed on a compacted level prepared bed. 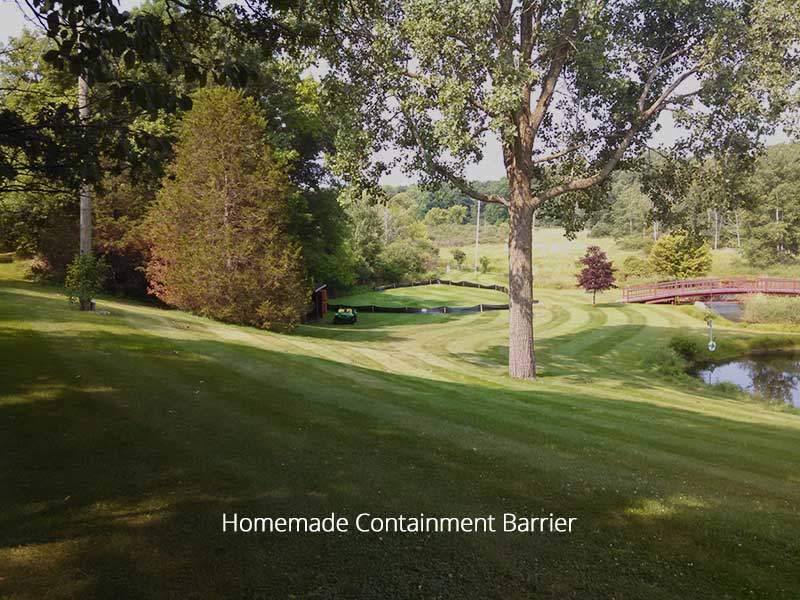 In general, there is seldom any naturally level ground which is why a created level bed will need to be created by a local landscape contractor for the tube to lay without concern of it rolling away or shifting during the filling process. Often the best place to lay a tube, if possible, is close to a pond or lake so that the filtered water can return and be reused. The grade of the ground around a body of water is purposely graded toward the water so a level bed will need to be created. Most landscape contractors have the skill and equipment to take grade measurements and create the level area for placement of a sediment containment tube. Because of the mobile nature of our service, we do not provide this preparation in-house but we will certainly communicate with your contractor to answer any questions they have to help with this procedure. What materials can be used to create a level bed for the tube to lay upon? 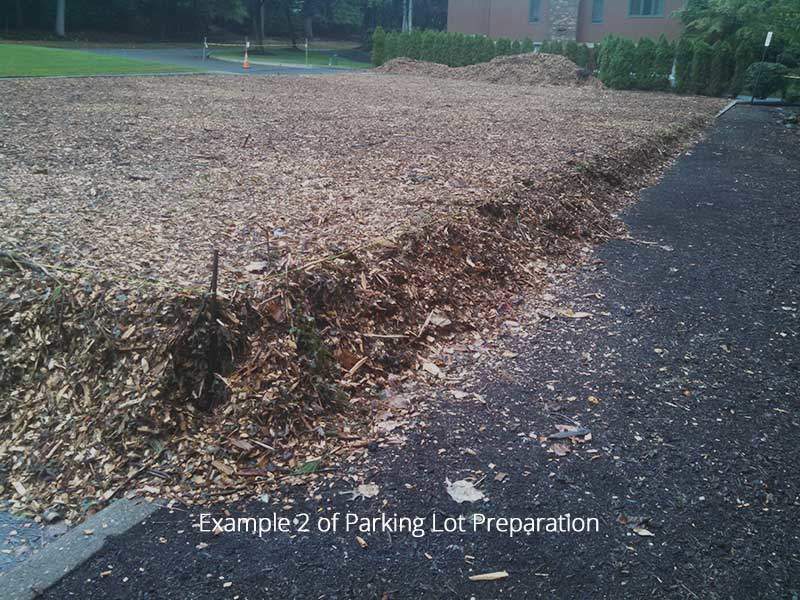 In our experience, wood chips are the best and the less costly material to use. Not the wood chips used in landscape but the first cut chippings that you will get from a local tree trimming service. Typically tree trimming companies and municipalities are looking for someplace to use these chips as they pile up especially after storms or in the spring when tree trimming takes place. 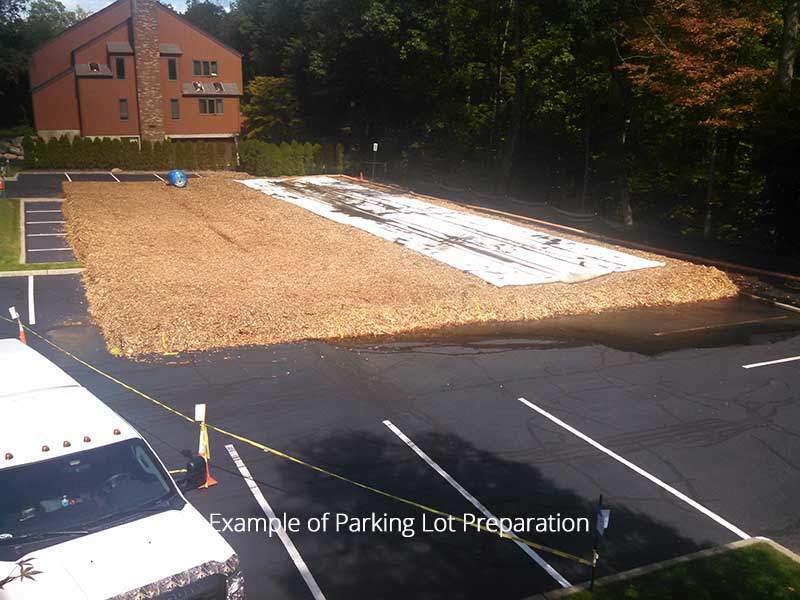 It is possible to use sand or soils but they will need to be highly compacted, level and covered with plastic sheeting to keep from washing away during the filling process. 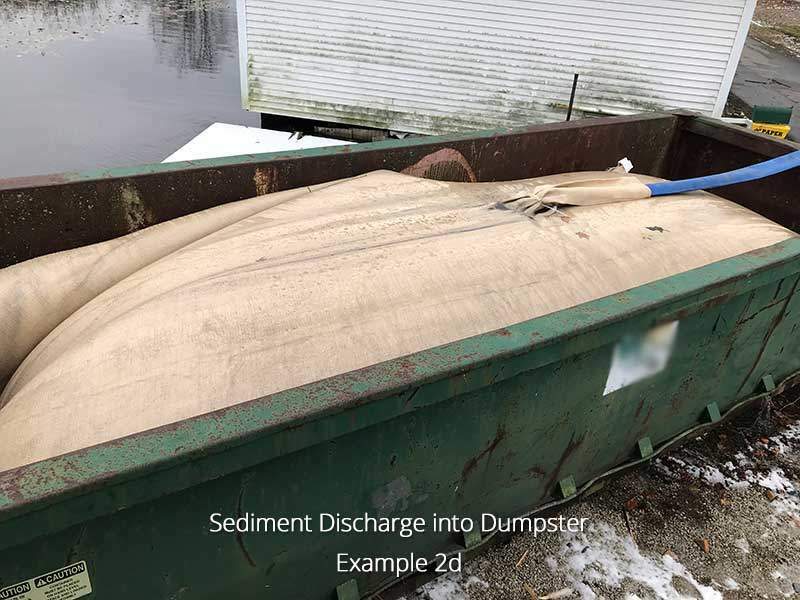 Can a sediment containment tube be reused? 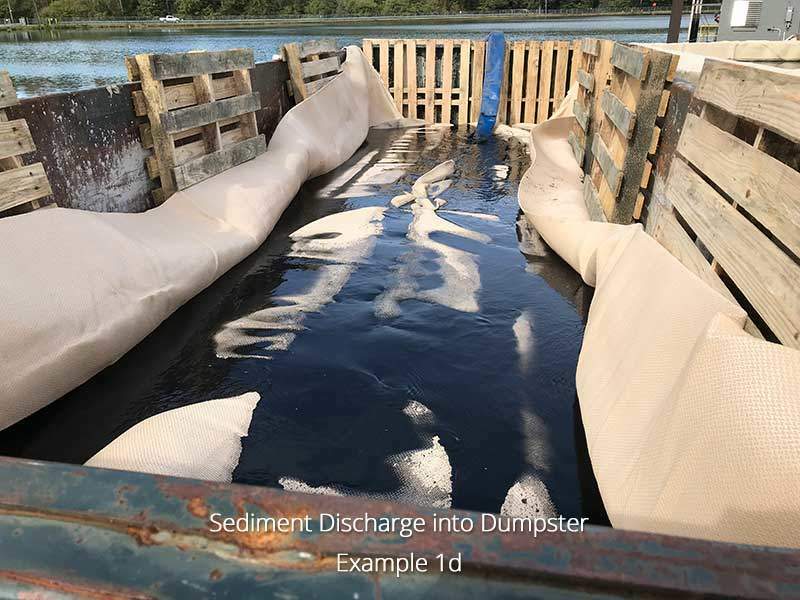 No, once a sediment containment tube is loaded and fully dewatered the only way to remove the sediment inside is to cut the tube material off which will not allow the tube to be reused. Please view example photos to the right. 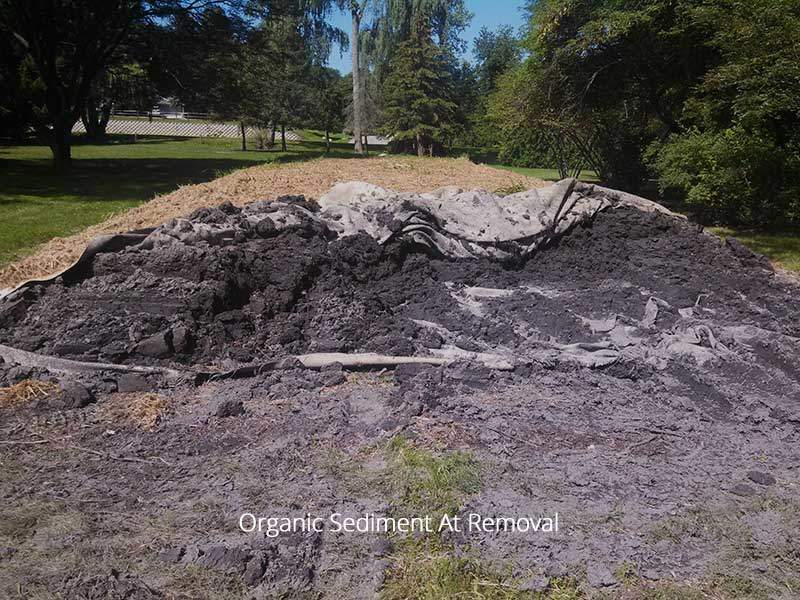 There are 3 other options available for the discharge of organic sediment. 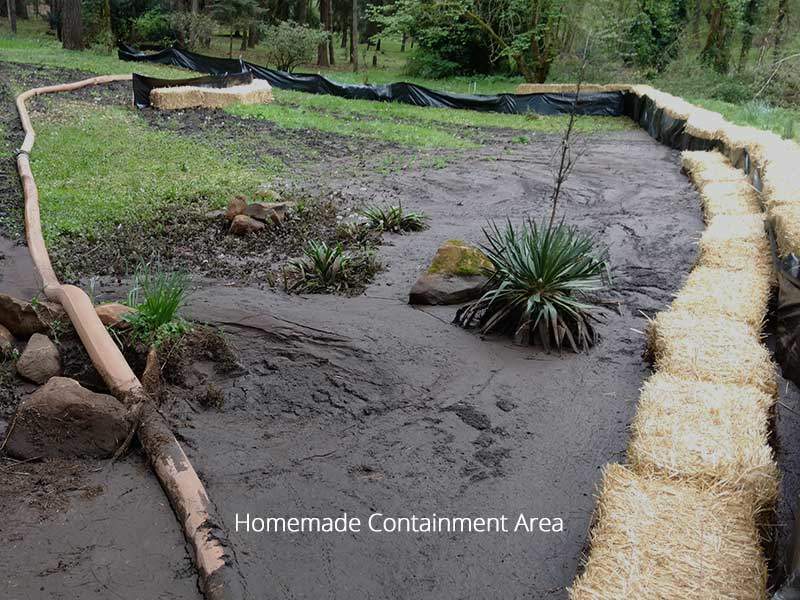 What is a homemade sediment containment area? 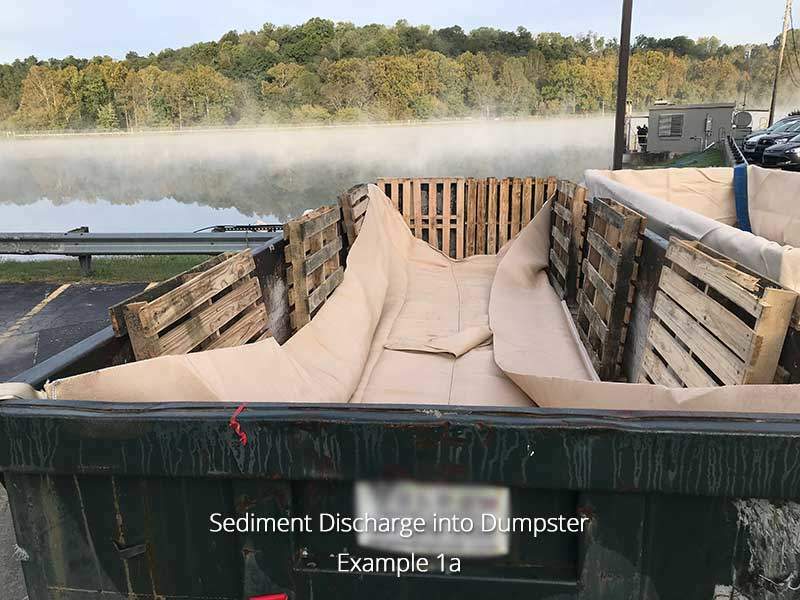 This is an option to the use of a sediment containment tube when only small amounts of organic sediment need to be discharged. They can be constructed economically by using contractor grade silt fencing and bales of straw. 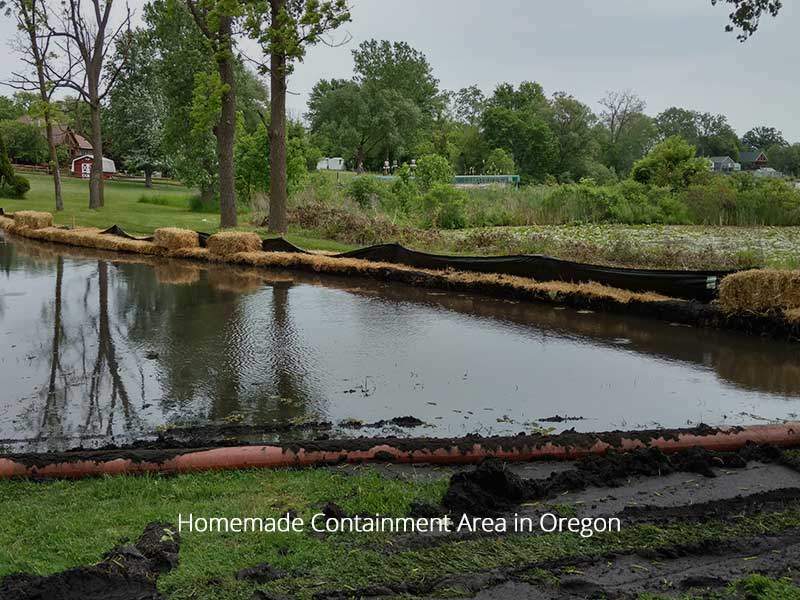 Homemade containment areas are best suited for areas where there is not enough room for the use of a sediment containment tube and when there is not ample property to openly discharge the water and sediment upon such as a lakefront property owner. Please view example photos to the left. 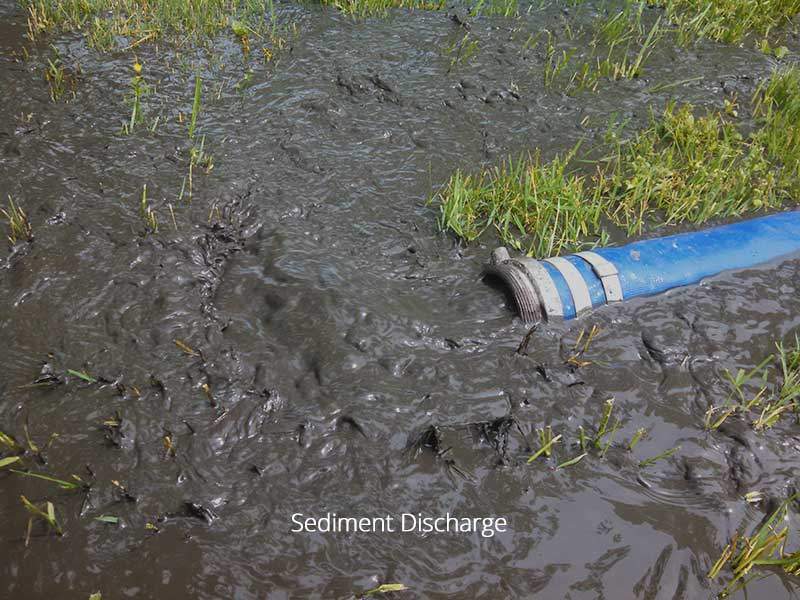 What does open discharge of organic sediment containment mean? 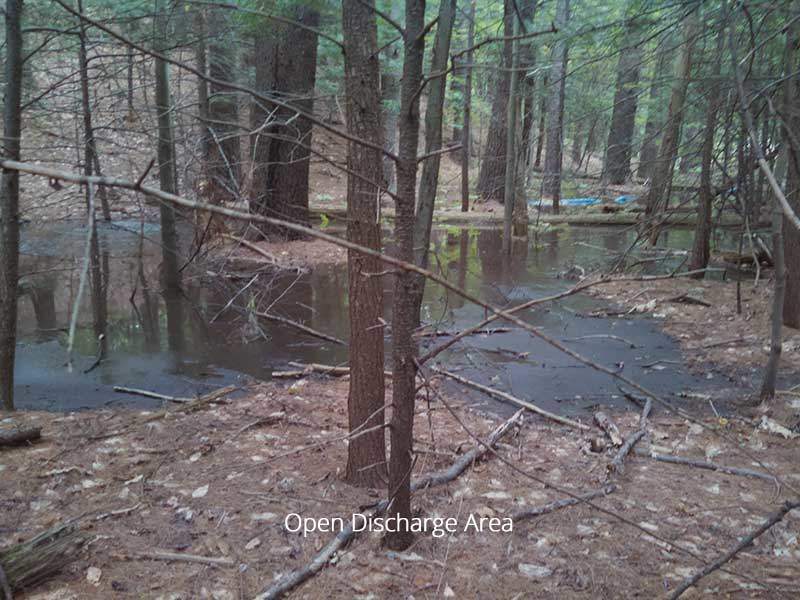 This is an option where we have permission to openly discharge the organic sediment and pond/lake water upon the owner’s land. 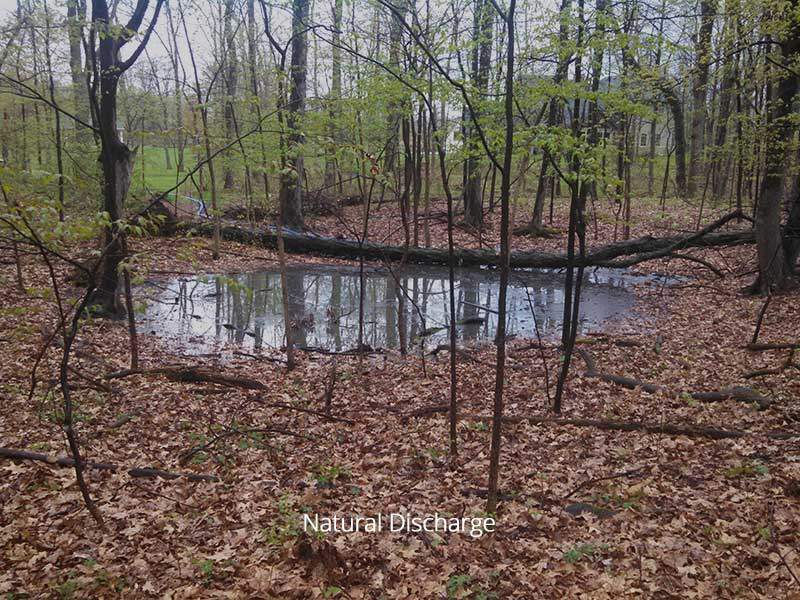 If there is acreage available, whether forest or field, we may be able to discharge onto the property as long as the sediment and water will not run off onto a neighboring property, stream, pond or lake. This is the most economical discharge method. We have the capacity to discharge up to 1,500 feet, grade and elevation pending, away from the work area. 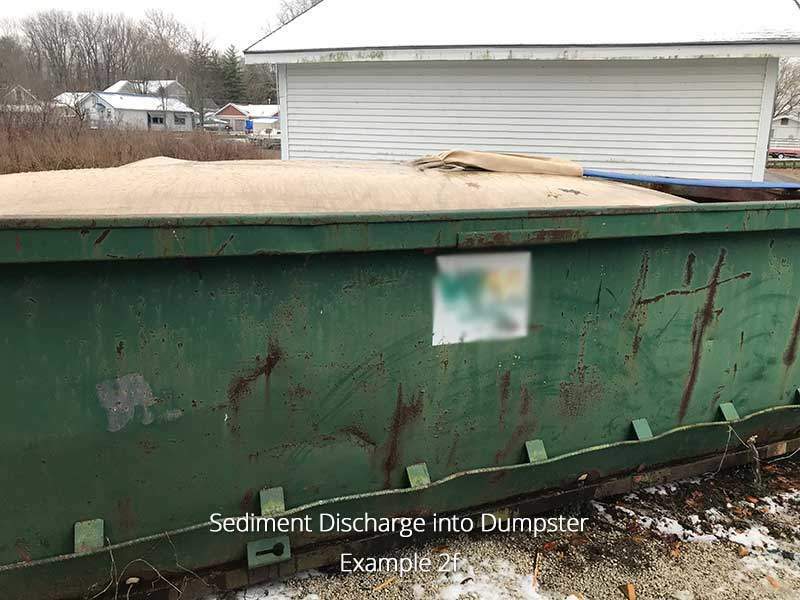 What does open top dumpster discharge mean? 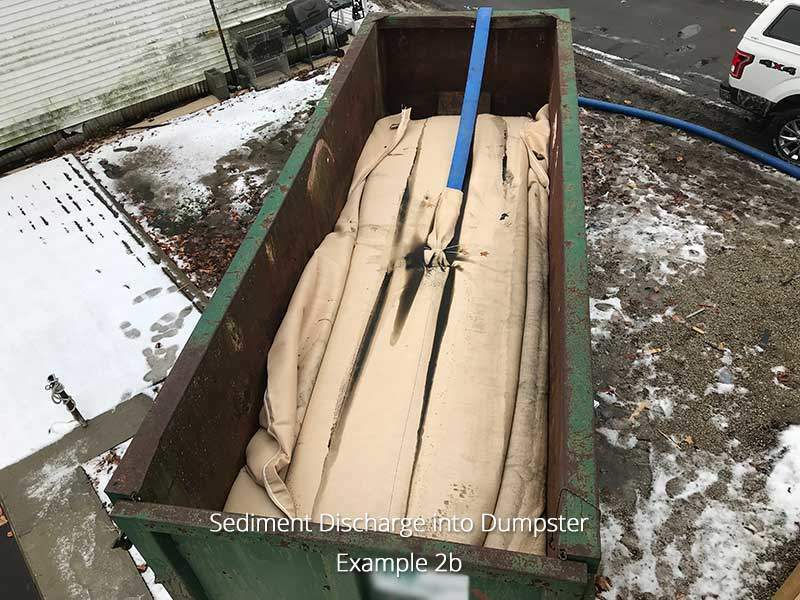 This is an option that employs the use of a containment tube that is placed inside an open top dumpster (30-Cubic Yard Container recommended). 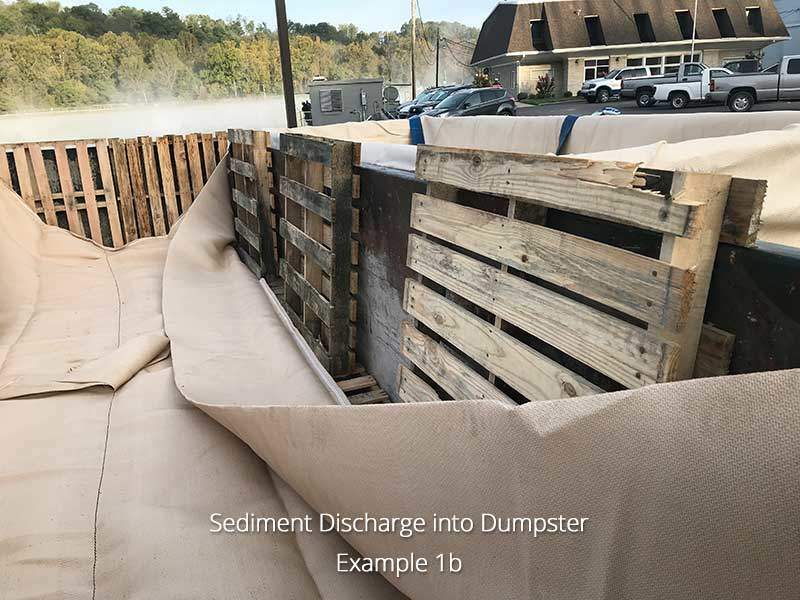 This method works very well for the removal of sediment from smaller areas such as a boathouse, beach area, lakefront, irrigation wet-wells or other small areas when other discharge methods are not an option. 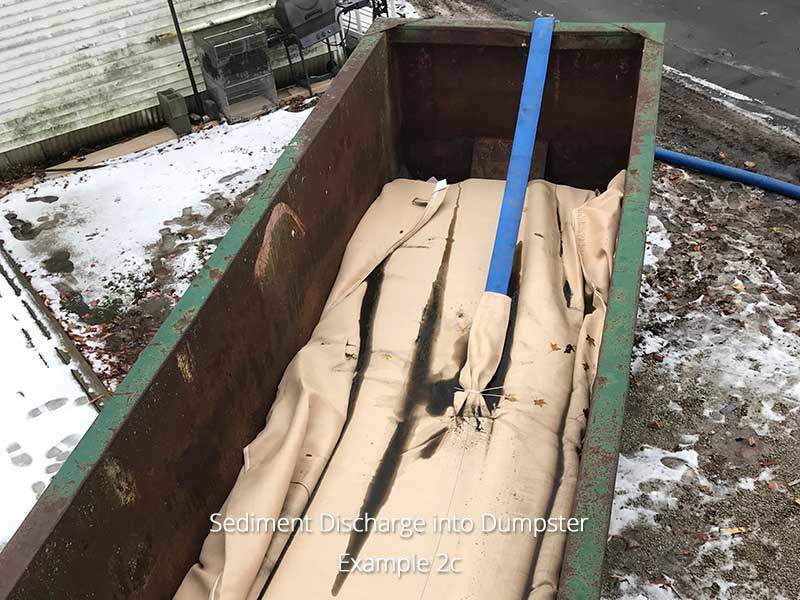 The preparation when using this type of discharge is to lay wooden pallets along all four sides and bottom of the dumpster box. The pallets create airspace or gaps for the filtered water to escape the dumpster while it is being filled. Click the button below to complete our Questionnaire.